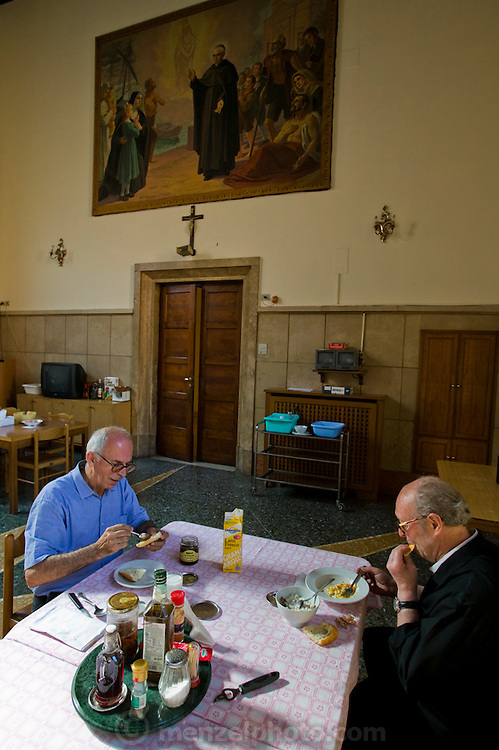 Riccardo Casagrande, monk brother priest eats with a colleague at the San Marcello al Corso Church in Rome, Italy, near the Spanish Steps. (Riccardo Casagrande is featured in the book What I Eat: Around the World in 80 Diets.) Casagrande is in charge of the kitchen, garden, and wine cellar for the brotherhood.